The Brazil international was signed by Watford in August 2017 from Fluminense for a fee of 12.4 million euros. The 20-year-old has a valid contract with Watford until June 2022. 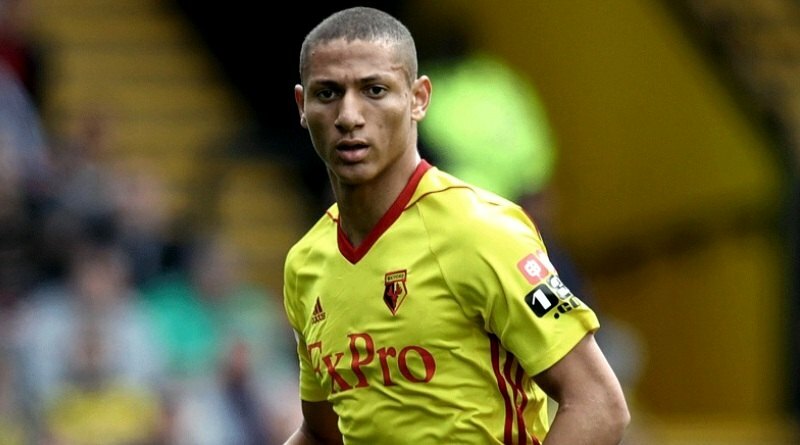 Richarlison has played 12 times for Watford since signing from Fluminense, scoring 4 goals and creating 3 assists in that time. The Brazil international has been in impressive form for Watford this season. Richarlison has represented Brazil at Under-20 level, winning 10 caps and scoring 3 goals. Antonio Conte wants to sign a new winger this winter and Richarlison is one of the names at the top of his list. The report claims that Chelsea manager has extensively scouted Richarlison and is considering a move for the winger. Chelsea will be desperate to make an impact in winter transfer window. The 20-year-old would be a very good addition for Chelsea and they can afford him as well. According to the report in British media, Chelsea are keeping an eye on Watford’s Brazilian star Richarlison. The Brazil international caught the Antonio Conte’s eye during the Hornets’ 4-2 Premier League defeat at Stamford Bridge last month. It will be interesting to see whether Chelsea make their move during the January transfer window.